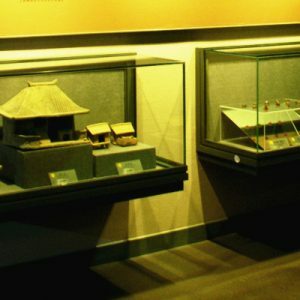 With glass front only,built-in/recessed wall museum display cases are built in wall or false wall.This design ingeniously makes enough use of wall construction to extremely save more exhibtion room for museums.Full support from the wall fabric immensely increases the security and stability of the wall display cases.Recessed wall display cases come in solid back,solid sides and glass front.Solid back can be applied as shelving system mounting. It is applicable to wide range of medium to large exhibits like costume, natural history, weapons, ceramics, silverwares,banners,memorabilia, archaeology, sculpture, ethnography and industrial machinery. 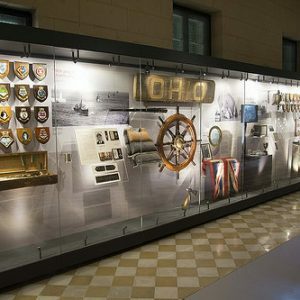 Built-in/recessed wall museum display cases are built into wall or false wall.This design ingeniously makes enough use of wall fabric to extremely save more exhibition room for museums.Full support from the wall fabric immensely increases the security and stability of the wall display cases.Recessed wall display cases usually come with solid back,solid sides but only glass front.Solid back can be applied as shelving system mounting. It is applicable to wide range of medium to large exhibits like costume, natural history, weapons, ceramics, silverwares,banners,memorabilia, archaeology, sculpture, ethnography and industrial machinery. Display cases are built into niche of wall fabric,with display case sizes to be customized. Glass front only or sometimes glass front/left or front/right or glass front/back.In compliance with EN356-P4A, the glass are laminated with 4 layers high intensity PVB film interlayers between 2 glass panels.Low-iron ultra clear glass or imported anti-reflective glass with reflectivity less than 1% and light transmittance more than 97%.High fabrication precision and polished glass edge.Glass panes are frame-lessly bonded by clear neutral UV sealants. Non-glazed panes to be built by structural steel and ZF-MDF panels with fabric-dressed for interior dressing. Plinth to be built by low carbon square and/or rectangular structural steel,with folded steel cladded externally. 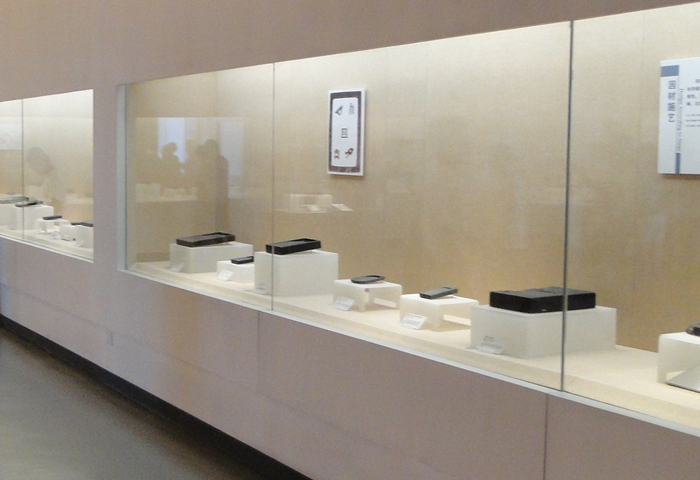 Environment-friendly and inert materials with no VOCs released for non-hazardous internal display space. Hinged opening or pull & slide opening system.Motor-driven and wireless remote-control system for options. Lockable facility box for silicon gel tray for passively-controlled RH 40%-60%, or electronic microclimate system from Canada for actively-controlled humidity 20%-80% and air purifying. Cantilevered or suspension rod shelving system with height-adjustable glass shelves for flexible exhibition. If you come all the way down here, you probably really get interested in our supplied museum display showcases. To have the optimized solution with the best budget for your projects with museum display showcases involved, just click the button below. ©2019 WANGDA SHOWCASES.ALL RIGHTS RESERVED.